Just had grampian goat club committee meeting and Paul Smith Butchers mason lodge, Skene, Aberdeenshire contacted us to see if we knew anyone who had surplus male kids available that they don't mind being reared for meat. He currently has demand for 2 carcases a week. 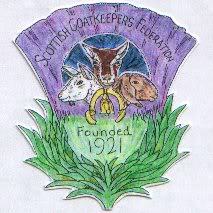 He is also looking to set up his own breeding herd so may be looking for boers and their crosses.He has plans to set up a scottish goatkeepers meat co operative and one of our commitee members is to get back to him and see if he wishes to advertise in the yearbook and clubs newsletters. Hi Fiona, good to know, thanks for spreading the word. There did use to be a meat producers committee board in Scotland, but I think it stopped in the early nineties.